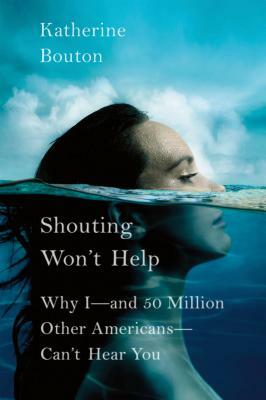 In this informative and compelling book, former New York Times senior editor Bouton explores hearing loss and its effects on both the hearing-impaired and those around them. Jam-packed with science, sociology, psychology, and fascinating personal stories (her own and others’), the book provides valuable insights into the “invisible disability” that so many of its suffers take great pains to deny. For twenty-two years, Katherine Bouton had a secret that grew harder to keep every day. An editor at "The New York Times," at daily editorial meetings she couldn't hear what her colleagues were saying. She had gone profoundly deaf in her left ear; her right was getting worse. As she once put it, she was "the kind of person who might have used an ear trumpet in the nineteenth century." Audiologists agree that we're experiencing a national epidemic of hearing impairment. At present, 50 million Americans suffer some degree of hearing loss 17 percent of the population. And hearing loss is not exclusively a product of growing old. The usual onset is between the ages of nineteen and forty-four, and in many cases the cause is unknown. "Shouting Won"'"t Help "is a deftly written, deeply felt look at a widespread and misunderstood phenomenon. In the style of Jerome Groopman and Atul Gawande, and using her experience as a guide, Bouton examines the problem personally, psychologically, and physiologically. She speaks with doctors, audiologists, and neurobiologists, and with a variety of people afflicted with midlife hearing loss, braiding their stories with her own to illuminate the startling effects of the condition. The result is a surprisingly engaging account of what it's like to live with an invisible disability and a robust prescription for our nation's increasing problem with deafness. A "Kirkus Reviews "Best Nonfiction Book of 2013. Katherine Bouton is a former editor at "The New York Times," where she worked for "The New York Times Magazine "and "The New York Times Book Review," as well as the daily Science and Culture desks. Her nonfiction has appeared in "The New Yorker," "The New York Times Magazine," and many other magazines and reviews. She is currently a regular reviewer and contributor to Tuesday's Science Times section. She lives in New York City with her husband, Daniel Menaker. They have two grown children.